In the past, we’ve touched on the subject of optimizing your press releases for the search engines. As press release distribution has shifted steadily toward an online activity and with more companies placing news rooms on their websites, it’s become increasingly important to optimize your press releases to drive more search engine traffic and to attract targeted customers. 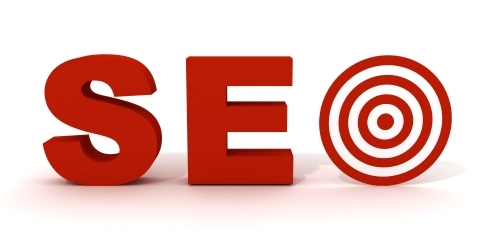 However, there are still some who are skeptical about the whole idea of SEO press release distribution. And they have good reason. Make no mistake. The SEO press release has become synonymous with spam over the past few years due to free press release directories and shady marketing tactics, but that doesn’t mean all optimized press releases have to be this way. If you’re still on the fence about SEO press releases, consider these statistics gathered from PRWeb. Optimizing your press releases is easy The good news is you don’t have to be an SEO expert to properly optimize your press releases. It’s actually pretty simple. Choose the keywords to target – If you’ve already optimized your website, you know which keywords you should be focusing on. If you’re new to this, use a free keyword tool to find popular search terms related to your products and services. Place the keyword strategically throughout – If possible, you should try to include your keyword in your headline, subtitle, and throughout the body of the press release. However, be careful not to force it. If the keyword doesn’t make sense in the headline, don’t use it there. Quality, readable content is your top priority; SEO comes second. Use keyword rich links pointed at your website – By placing a few keyword-rich links in your press release, you can help improve the search engine rankings of your website. Just make sure your links serve a purpose and aren’t just there as a sneaky way to get more links. Publish new press releases on a regular basis – Press release distribution and SEO both require a long-term commitment to be successful. There is no magic bullet press release, and there is no way to grab top search engine rankings overnight. A few good rules to live by for SEO press releases To make sure you don’t turn into an SEO spammer, here are some basic guidelines to stick to. 1. Never sacrifice readability when optimizing your press release. 2. Always have a newsworthy angle. 3. Don’t write press releases that read like advertisements. Do you optimize your press releases? Are press releases expensive? Are they cheaper than PPC? Other than SEO, what can a press release consumer expect from press release? How do we go about choosing professional services for the press release cycle? I really like the fact that you emphasized not compromising readability for seo. I try to have a press release out every month, but some of the things my management deems newsworthy are just not, and so I have not had a release in the last 3 months. I’d rather release something that qualifies as news, then to blindly push out communications that don’t add value.